Collectively, the districts of Kalkan form a small town that has garnered a prestigious reputation not only in mainstream tourism but among those sailing the Turkish Riviera. Foreign property buyers also adore it for its unique suburban outlook. Traditional is not a word to describe it, as it has expanded over many decades, yet, uniformed architectural styles across the landscape are pleasing on the eye. 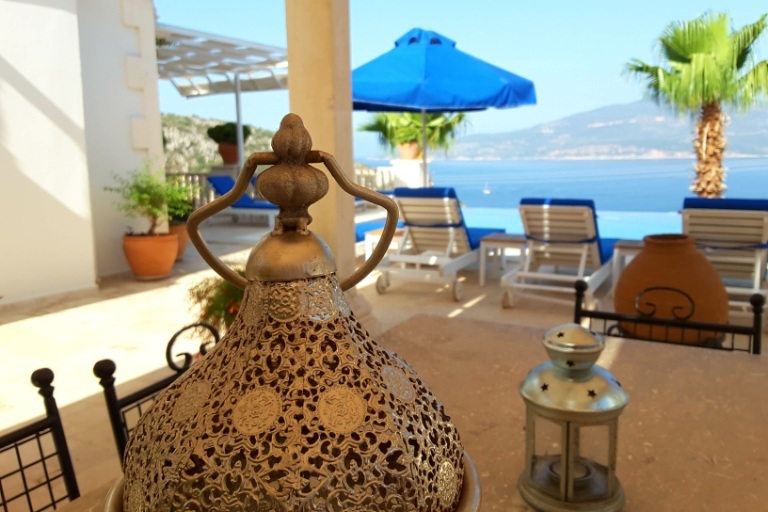 Kalkan’s real estate portfolio differs from neighbouring Mediterranean resorts. Luxury villas with infinity pools and all-encompassing sea views dominate both budget and luxury markets, although apartment complexes exist in some neighbourhoods. Some foreign homeowners just visit for two weeks in summer. Indulging in a Mediterranean lifestyle, they find rest and rejuvenation in a low key nightlife scene and gorgeous weather. Others have opted to live there all year round as part of a small expat community. Regardless of your purpose for buying, finding a home in Kalkan is easy, if you first decide which individual neighbourhood, all of which have their own characteristics will suit you better. The nostalgic ambience of Kalkan’s old quarter is hard to ignore. Sitting in the heart of the resort, notable landmarks include the harbour and main beach. Its seaside location combines with traditional whitewash houses, with wooden balconies and trailing bougainvillaea to present an idyllic picture postcard scene. Listed buildings limit the scope for modernisation, and a large concentration is now hotels, shops or restaurants, but occasionally, apartments come up for sale. Many supermarkets, restaurants and bars, and the central bus station, make up Ortaalan, often called the new part or central district. Sitting on the outskirts of the old town, the beachfront is between a 15 to 20 minutes walk, but most people catch taxis back up the hill. The elevated land status of Ortaalan gives way to stunning coastline and the Mediterranean Sea views. Spreading to the Antalya / Fethiye highway, its central position makes it a sought after area for house buyers. Kalamar, another famed area covers the west side of the bay. Its ambience is lower key than Ortaalan, yet beach clubs here make a roaring trade with holidaymakers. The 30-minutes stroll walk into the centre is pleasant, or for quickness, the journey is just 5 minutes in a taxi. Buyers who want to use their new home for summer or to generate a buy-to-let income often buy in Kalamar. Komurluk is a 20-minutes walk from the centre and likewise, being a coastal location, offers stunning views. Komurluk carries with a certain prestigious status because properties in this area are more luxurious and the beachfront location bumps up the price. Unique architecture makes villas in this area stand out. Including feature facades, landscaped gardens, alfresco dining spaces and tasteful interior designs, owners are tapping into a neighbourhood revolving around luxury modern living trends. At the far end, eastern side of the bay and sitting next to Komurluk, the smaller and less populated Kisla district is a 30-minutes walk from the old quarter. Offering stunning harbourside views at night-time, some beach clubs run water taxis to the old centre, as an alternative and quirky form of transport. Luxury villas in Kisla also have an esteemed status. Along with Komurluk, some homes sell for more than a million pounds and are worthy of being listed as unique properties of Turkey. Kiziltas offers the best price per square meter, but while buyers are compromising on a seaside location, they have fantastic south facing views over the Mediterranean coastline. Sitting on the other side of the Antalya / Fethiye highway, the neighbourhood is the furthest from the old part but reached via a pleasant slow walk down the hill. Some holidaymakers renting in this area also hire a car to explore further afield. 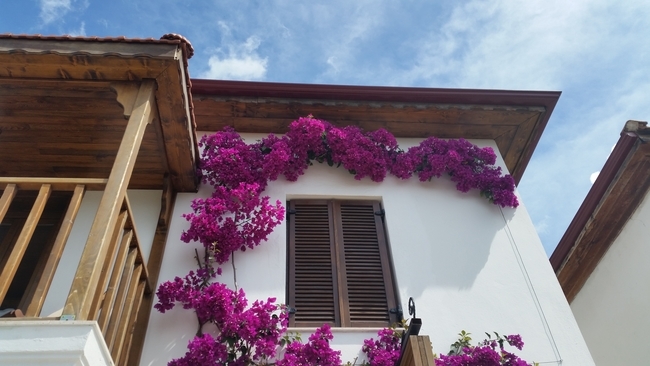 Find out more about the districts of Kalkan, in our property portfolio for the area. Each listing describes the local neighbourhood, and feature points and photos of the home. Alternatively, call or email our office today to speak to a local representative about buying Turkish real estate. Further Reading: Focusing on reasons to buy, we also discuss why owning property in Kalkan is a smart real estate investment.